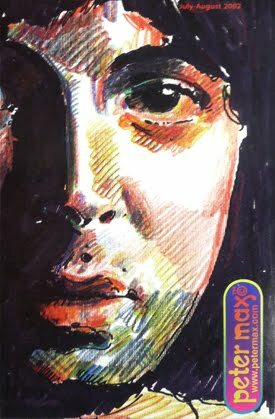 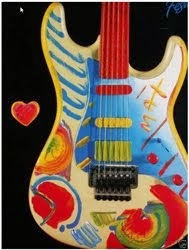 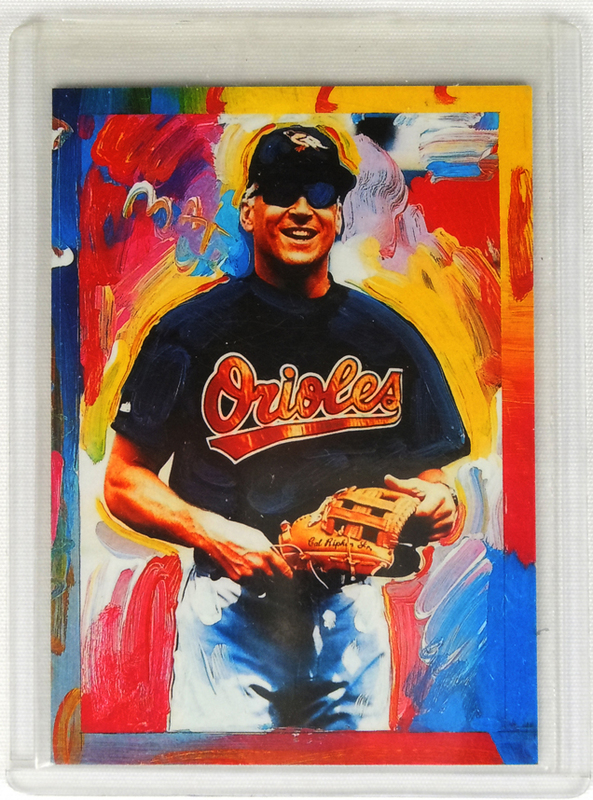 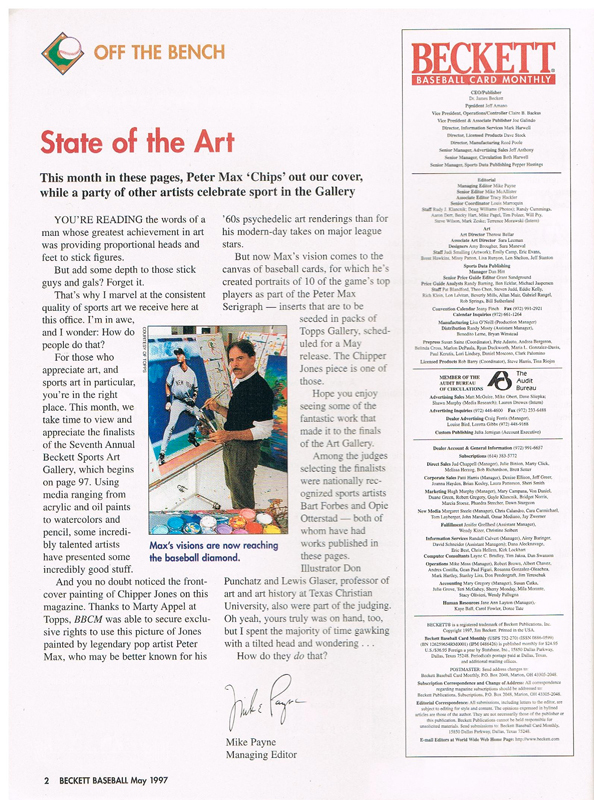 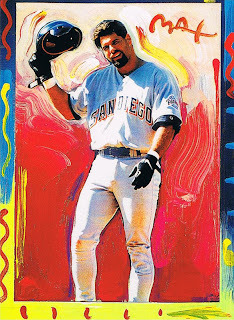 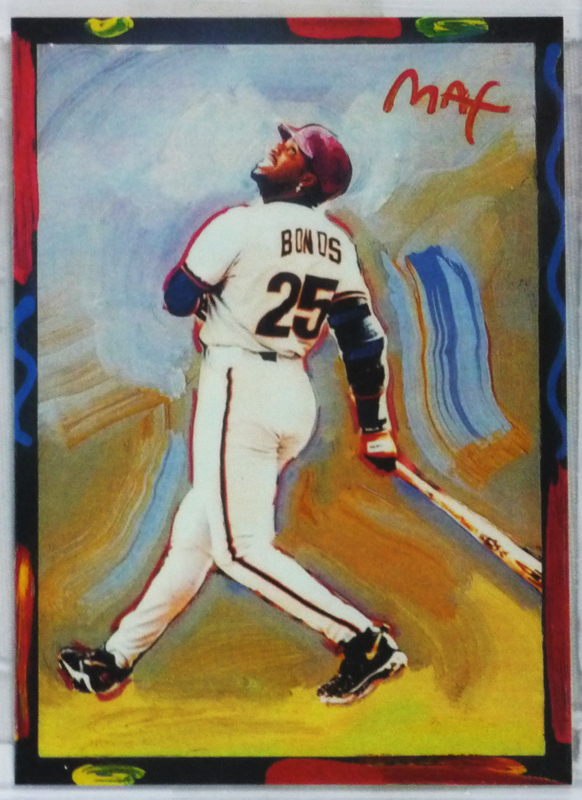 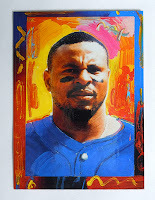 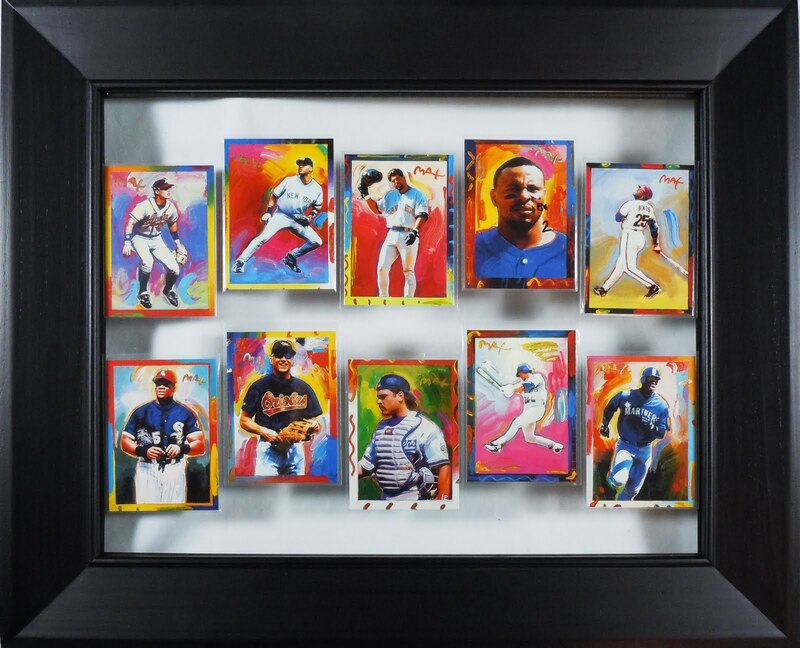 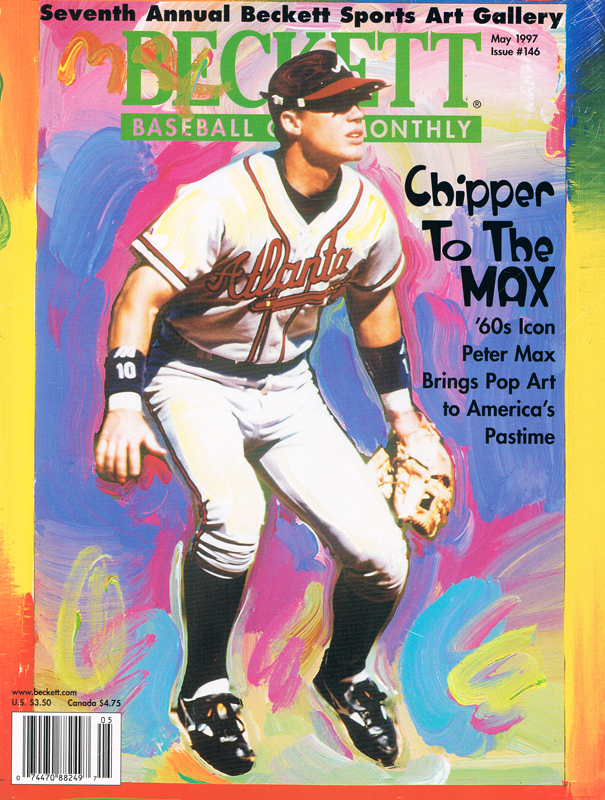 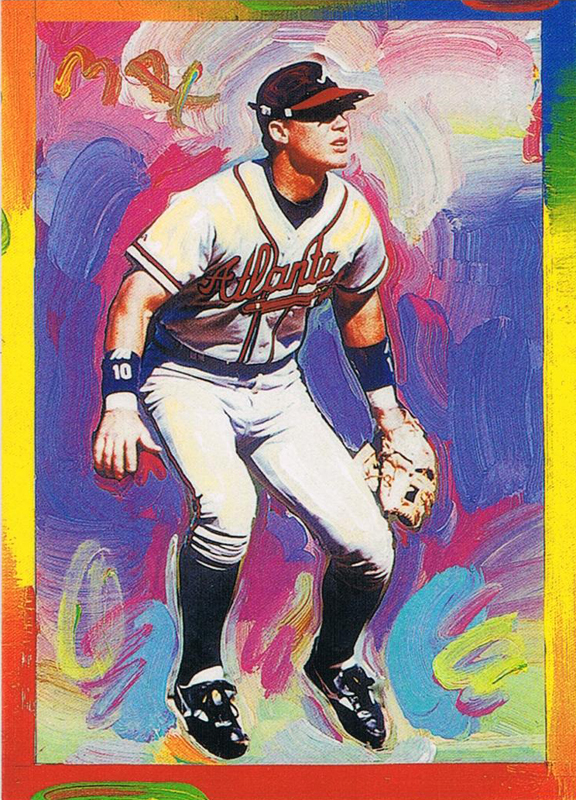 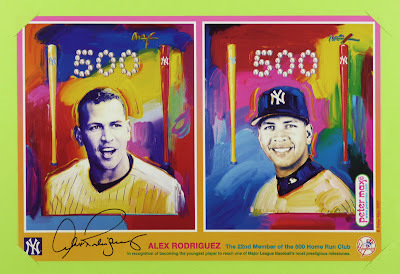 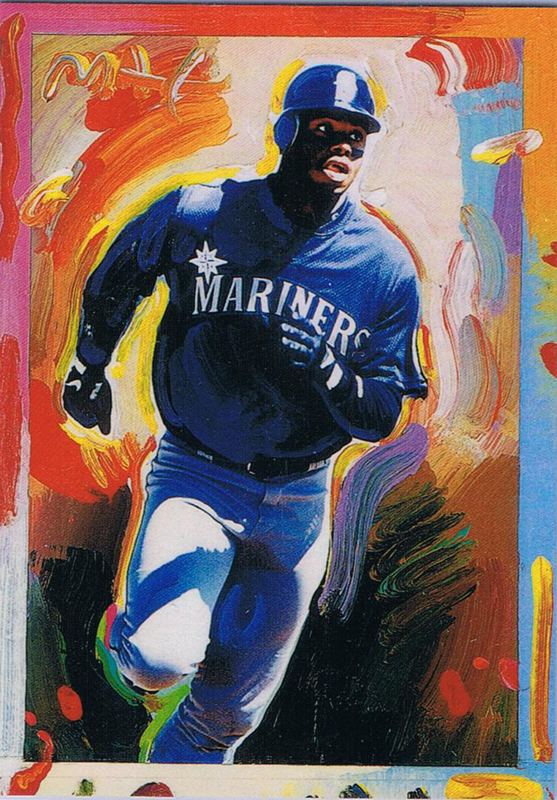 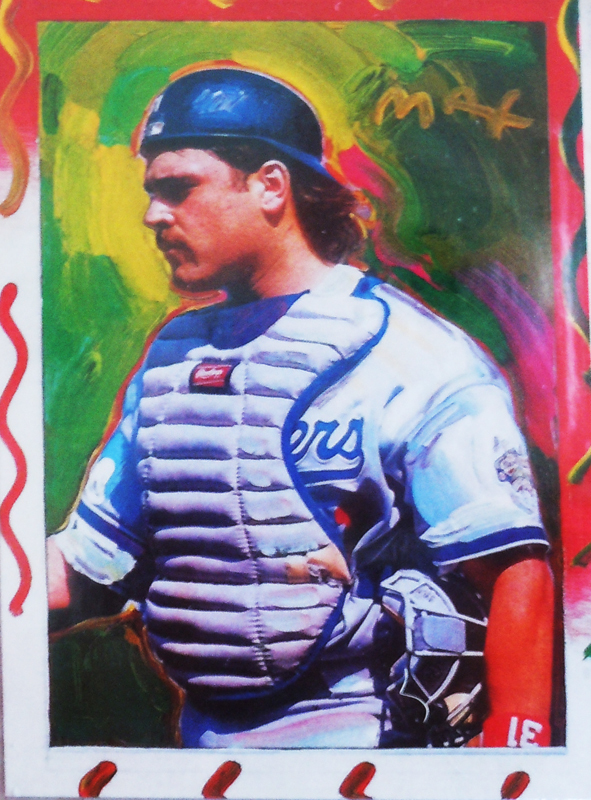 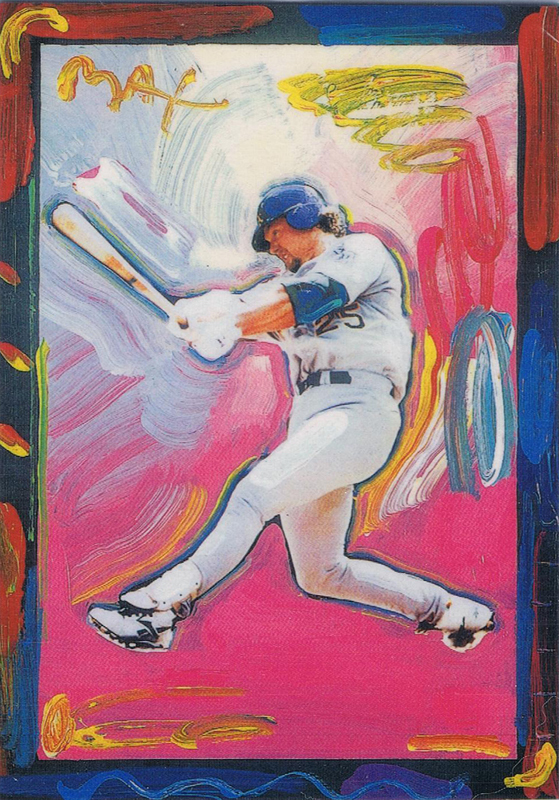 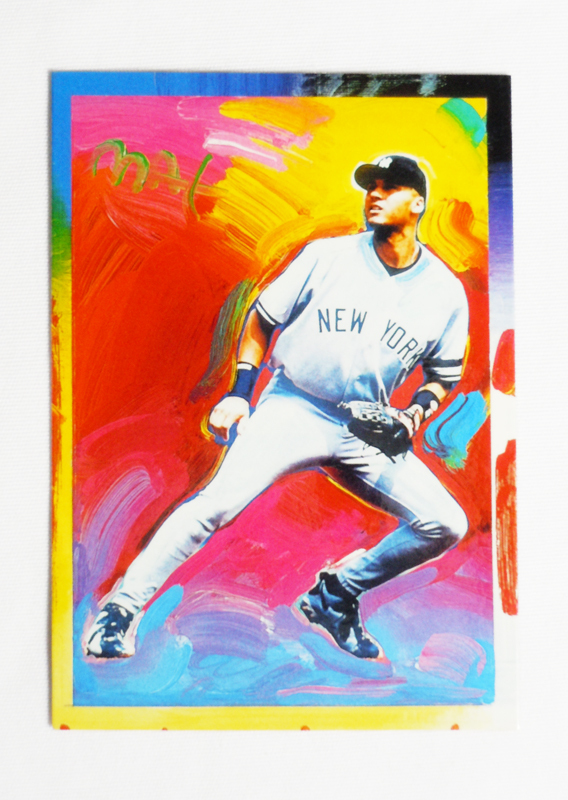 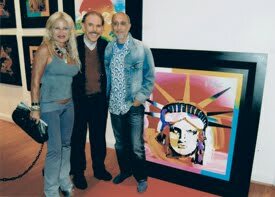 Seeded into packs of 1997 Topps Gallery, these Peter Max cards sell for considerably low prices by today’s standards. 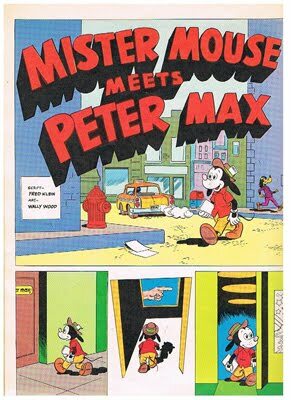 Of course, that’s for the regular versions. 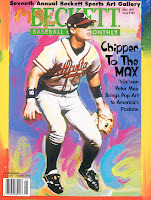 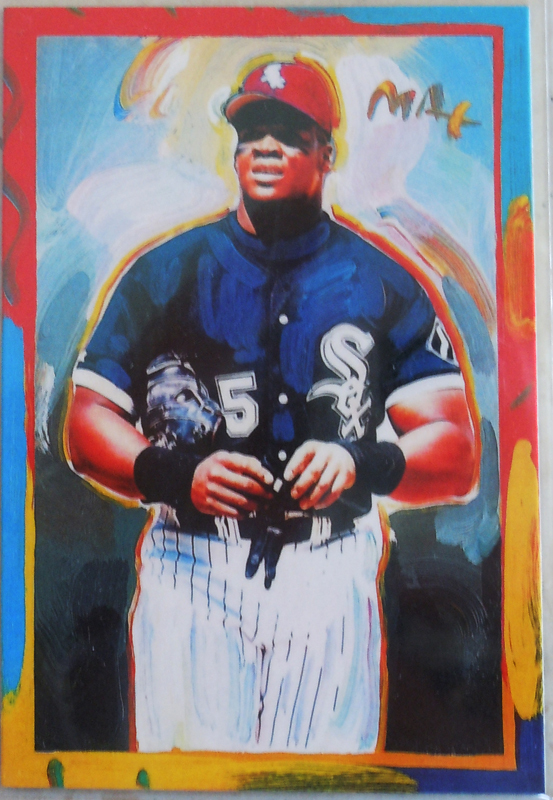 Topps also seeded hand-signed cards of Max, serial numbered to just 40 copies (link).